A study published today in the open access journal Collabra​ provides valuable insight for ridge-to-reef conservation projects. 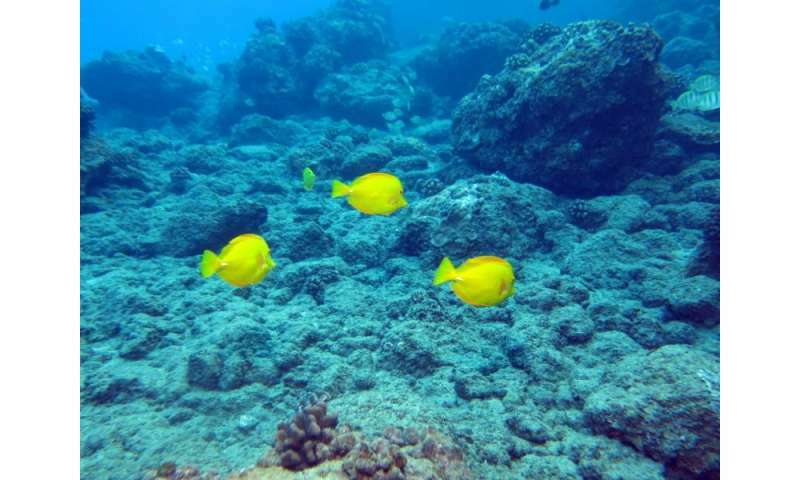 The study shows that even along the same coastline, reefs can experience drastically different water flow conditions which affect water quality, particularly exposure to reef-killing sediment pollution. These results illustrate the need to better understand water flow patterns in coral reef areas as well as sediment runoff from land and can help local efforts to mitigate erosion on land. Led by researchers from Conservation International's Hawaii program and partners from University of Hawaii at Manoa and the local community leaders from the Maunalei Community Managed Makai Area, as well the Pacific Islands Ocean Observing System (PacIOOS), the study is the first to examine the sediment dynamics of Lana'i Island in Hawai'i. The research team monitored sediment from two streambeds on the island of Lāna'i and their corresponding adjacent coral reefs, to test whether the combined physical conditions of water movement and volume of sediment flowing into the ocean at each location could provide useful information to guide where watershed restoration and better land management could happen. "Understanding the sediment flow from the ridge to the reef is critical for our development of solutions to mitigate sedimentations on reefs," said Lida Teneva, lead author and science advisor for CI Hawai'i. "Sediment pollution from land has severe consequences for coral reef ecosystems. 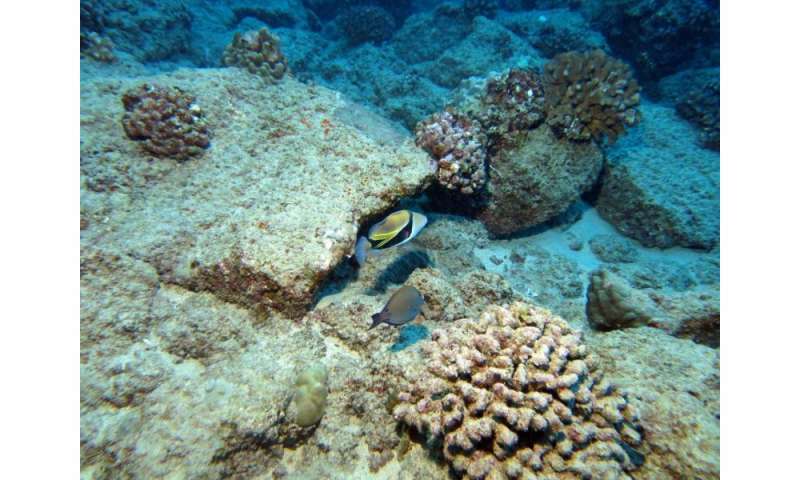 In Hawai'i, soil erosion due to development and agriculture has resulted in excess sediment which chronically threatens the resilience of many Hawaiian reefs." Of the two reef sites, within a mile of each other, one experienced currents that move quickly and efficiently flush sediment from the site, keeping the water clear. The other site was subjected to currents and wave conditions that do not remove sediment from the water and in turn allow for sediment to be continuously resuspended in the water. 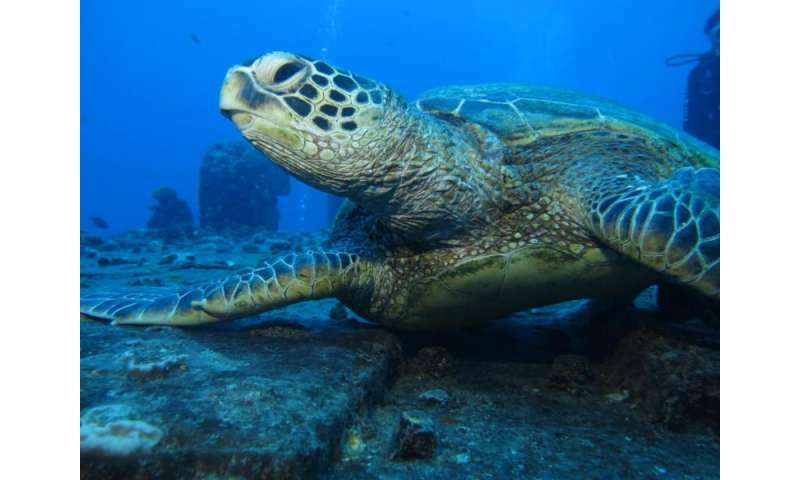 "This research tells us that even without rain events, reefs can be continually exposed to sediment stress through the effects of wind, waves, and tide. 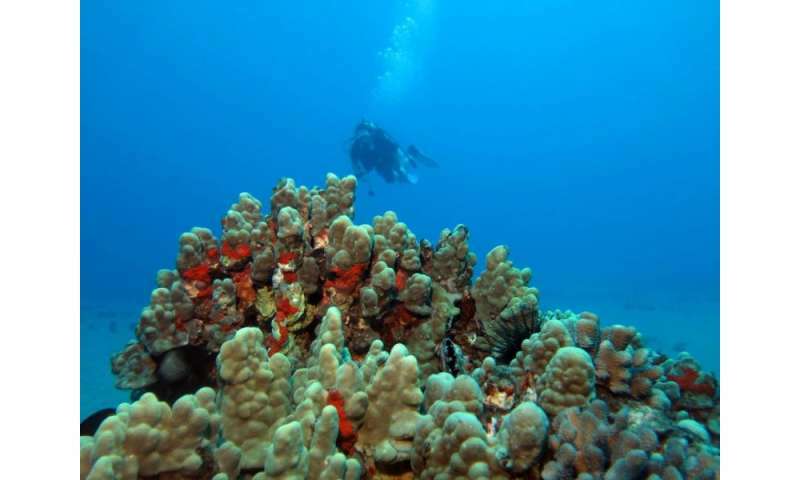 Sediment pollution is a major threat here in Hawai'i and globally, and prolonged exposure can kill corals," said Jack Kittinger, Director of Conservation International's Hawaii program. This impacts the quality of the habitat for reef fish populations, which in turn affects food security and livelihoods of our communities." Lāna'i is an island where reef-to-ridge management projects are already underway and the researchers were also able to assess some of the effectiveness of these terrestrial efforts on decreasing sediment flow. This work is allowing CI Hawaii to develop a framework for evaluating effectiveness in sediment remediation projects linked to coral reef conservation, including the building sediment dams (gabions), restoring vegetation and controlling invasive ungulate species, like deer. The streambed paired to the reef that experienced heavy water and sediment flow had gabions – check dams – constructed out of invasive kiawe trees by the local community group to stop sediment. These dams stopped 77 tons, the equivalent of nearly 10 dump trucks of sediment, from flowing into the ocean. Without the check dams, the adjacent reef area would have needed about 5 weeks of natural water flow around the reefs to flush that amount of sediment. "These estimates tell us how effective the check dams were compared to the rate of natural sediment removal," said Dr. Margaret McManus, University of Hawaii-Manoa. 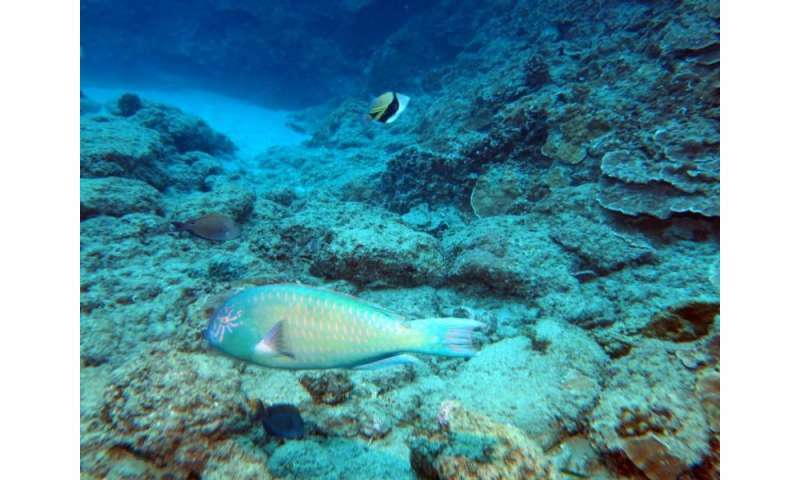 "These oceanographic insights can guide design of sediment capture for watershed restoration and reef conservation projects in island settings in Hawaii and beyond."